"It's the saddest thing I've ever witnessed -- the crowd standing there, a lot of people crying," Finney said. "It was just a horrible tragedy." Even so, some Parisians -- still tender after a series of deadly terrorist attacks in the French capital in 2015 -- showed resilience Monday in the face of disaster. 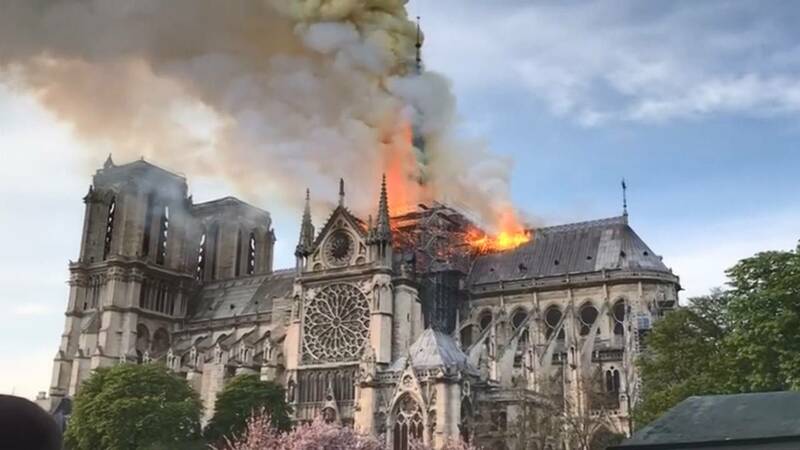 Some sang the French national anthem, while others gathered at the city's bistros to share meals and drink wine as the cathedral continued to burn. CNN's Gianluca Mezzofiore and Hadas Gold contributed to this story.